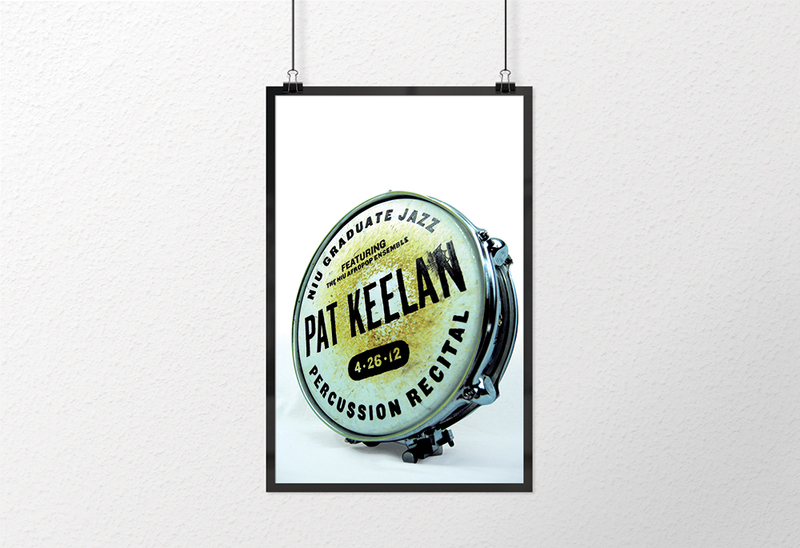 Pat Keelan was a graduate percussion student at Northern Illinois University and needed a poster to market his graduate jazz percussion recital. I teamed up with Pat, who told me he was interested in a simple, light aesthetic to go along with his joyful-yet-not-overbearing theme in his music. It was decided that the poster should be primarily typographic and very simple. 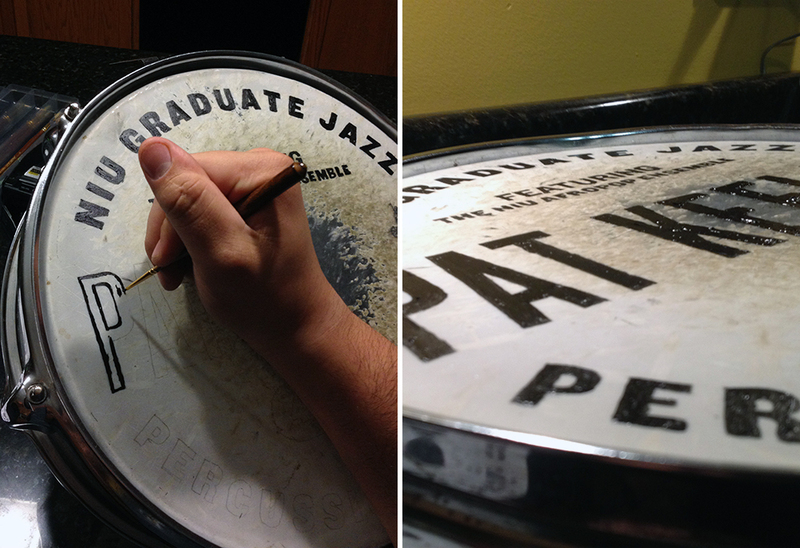 In order to achieve this, I photographed a used 14″ snare drum, on which I had hand-painted the event’s information with acrylic paint. This eliminated any need for unnecessary photomanipulation, and had an organized yet still relaxed aesthetic, much like Pat’s recital theme. The poster’s dimensions are 16×26″.